A jewel of 5.5 meters and 7 tons. The United States Presidential State limousine is among the most armored vehicles in the world (inside, there’s even blood pockets of the same bloodstream of the president). Super Safe. Important, heavy. A huge car. 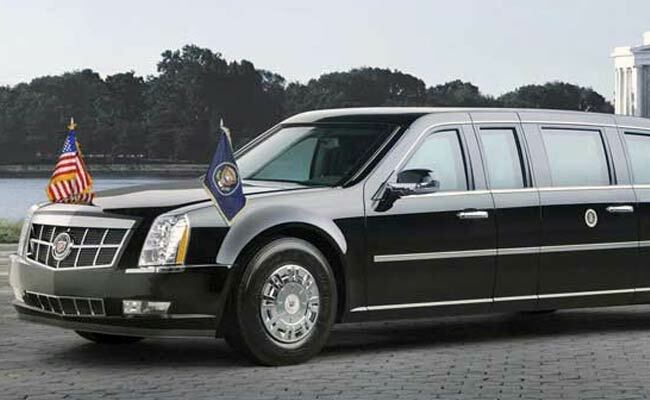 “The beast”, in fact, is the name of the black limousine of the President of the United States. A safety jewel of 5 meters and a half and a heavy 7 tons. To move this monster car you need a super engine, the Chevrolet Kodiak, a mid-way between a pickup truck and a truck. The world’s most armored limousine is made of 20cm thick sheets of iron, aluminum, titanium and other ceramic materials that would virtually make it almost impossible to open the doors from the outside. The windows have a thickness of 12.7 centimeters, with five-sided glasses, such as those of a Boeing 757, protecting passengers from chemical attack or explosion. Inside the limousin,e there is a fire-fighting system like the racing car. The tank is armored and the car goes with diesel, a less flammable fuel tha gasoline. The driver has a night vision system to drive even in a total dark. The tires are reinforced in kevlar, an ultra-resilient synthetic fiber. And to deal with the emergency that no apparent security would ever want to face, inside the vehicle there are oxygen reserves and blood pockets of the same group as the president. The Secret Service must use of a C-17 Globemaster transport aircraft to move around “The Beast”, a second limo and a heavily armored Chevrolet Suburban communications vehicle, any time the President is traveling. The Suburban is also knows as Roadrunner and it is said to be a rolling communications office directly linked to a military satellite. What is Probate and What Exactly are Probate Fees?